YESTERDAY marked an end to a dramatic eight days that led to the end of President Mugabe’s 37 year reign when he resigned as Head of State. What started as a warning by the Zimbabwe Defence and Security Services last Monday that the uniformed forces would not hesitate to step in, in the defence of the national interests set off a chain of events that led to jubilant scenes all over the country when Cde Mugabe finally tendered his resignation. Coincidentally, the resignation came exactly 9 months after Cde Mugabe’s 93rd birthday, having been born on February 21, 1924. Last Monday, the Zimbabwe Defence Forces, worried about the state of affairs in both party and country warned that there had been infiltration by counter revolutionaries that had surrounded President Mugabe and destabilising the Government. The ZDF said it was especially concerned by the purges in the ruling Zanu-PF, and threats to extend the action to the civil service, of cadres with strong liberation backgrounds hounded by new comers with no revolutionary history. The previous week, Cde Mugabe had fired Cde Emmerson Mnangagwa as his deputy in the Government with the party also resolving that he be expelled. There were also plans to purge alleged associates of Cde Mnangagwa in both party and civil service. A day after the ZDF statement, the Zanu-PF youth league fronted by Cde Kudzanai Chipanga hit back at Gen Chiwenga telling the uniformed forces to restrict themselves to security issues, a statement Cde Chipanga later distanced himself from alleging that he had been coerced to read it. On Wednesday morning, the Zimbabwe Defence and Security Services announced that it had stepped in with the launch of Operation Restore Legacy an intervention meant to arrest a potentially volatile, social, economic and political situation in the country. They assured the nation that the uniformed forces had not staged a coup to unseat President Mugabe but were targeting some criminal elements around the Head of State that were causing instability in Government and the ruling Zanu-PF. conference in Harare calling on Cde Mugabe to step down accusing him of subordinating his powers to his wife Mrs Grace Mugabe and members of the G40 cabal. Later that day, Cde Chipanga appeared on television apologising to the Command Element and the rest of the uniformed forces saying he was made to read a statement that had not been authored by the Zanu-PF youth league. On Thursday, political parties and the Zimbabwe Human Rights Commission hailed the uniformed forces for guaranteeing civil liberties and discouraging violence during the period of the execution of Operation Restore Legacy. The political parties also called for wide ranging consultations in the cross section of society in order to deal with the country’s problems and move towards economic prosperity. Zanu-PF provinces, 8 out of ten of them on Friday held Coordinating Committees and resolved that Cde Mugabe be recalled as leader of the ruling party and President of the country. They also called for Mrs Mugabe to be recalled as secretary for women’s affairs in the party and that members of the G40 faction be expelled from the party. On Saturday, Zimbabweans marched on the streets of Harare, Bulawayo and other parts of the country in solidarity with the Zimbabwe Defence and Security Service and adding their voice on the calls for Cde Mugabe to step down. 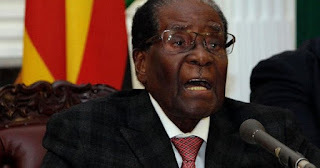 On Sunday, the Central Committee met and recalled President Mugabe from the position of party First Secretary and replaced him with former Vice President Emmerson Mnangagwa whom the ruling party also reinstated as a Central Committee member. Cde Mnangagwa was also endorsed to take over Cde Mugabe as leader of Zanu-PF and President of the country and also as the party’s Presidential candidate in the 2018 elections. Mrs Mugabe was removed from her position as secretary for women’s affairs and expelled for life for charges ranging from fanning factionalism and promoting hate speech. The party also resolved to expel members of the G40 faction namely Vice President Phelekezela Mphoko, Saviour Kasukuwere, Jonathan Moyo, Ignatius Chombo, Patrick Zhuwao, Letina Undenge, Grace Mugabe, Chipanga, Walter Mzembi, Paul Chimedza, Makhosini Hlongwane, Anastancia Ndlovu, Mandi Chimene, Samuel Undenge, Sarah Mahoka, Mpehlabayo Malinga, Xavier Kazizi, Tongai Kasukuwere and Innocent Hamandishe, Eunice Sandi Moyo and Shadreck Mashayamombe. The meeting also gave Cde Mugabe up to Monday afternoon to step down failure to which, Zanu-PF Chief Whip Cde Lovemore Matuke would initiate impeachment proceedings against him. 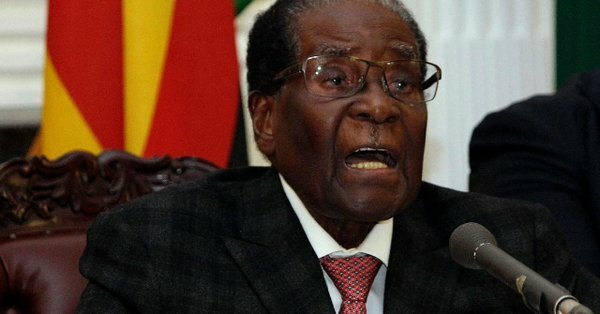 In a televised State of the Nation Address at State House on Sunday, President Mugabe conceded that there was a crisis in the country and concerns raised by the ZDF and citizens relating to the state of the economy were genuine. He said Zimbabwe would chart a new path aimed at restoring normalcy in the country. “The address came after President Mugabe held a meeting with the commanders that focused on several issues both at Government and party levels. On Monday, Gen Chiwenga, at a press conference in Harare said after President Mugabe’s national address, he had made further consultations with the Command Element to agree on a roadmap on the prevailing situation in the country. What is critical is that in the entire process, and as Gen Chiwenga revealed, the meetings held between the Command Element and Cde Mugabe were conducted in an atmosphere of mutual respect and several guarantees were made. He said the president would engage in talks with Cde Mnangagwa as part of efforts to bring sanity to the Government and Zanu-PF since the launch of Operation Restore Legacy. Yesterday morning Cde Mnangagwa released a statement saying he would not be engaging President Mugabe but instead urged him to stick to his promise that he repeatedly made over the years that he will leave office when the people no longer want him. Cde Mnangagwa said Cde Mugabe should listen to the people’s calls for him to step down to avoid embarrassment adding that the prevailing situation was not a matter between the two of them, but that between the now former head of State and Zimbabweans. In the afternoon the impeachment motion was introduced during a joint sitting of both houses of Parliament but the debate on the motion was terminated after the Minister of Justice Legal and Parliamentary Affairs Retired Major General Happyton Bonyongwe handed a letter to Speaker of Parliament Jacob Mudenda notifying him of Cde Mugabe’s resignation as president of the country. As Adv Mudenda read the resignation letter, wild celebrations erupted from the Harare International Conference Centre, the venue of the joint sitting. Like a wild fire, the jubilation spread to the streets of Harare. As news of Cde Mugabe’s resignation filtered through, similar celebrations rocked almost all the parts of Zimbabwe.